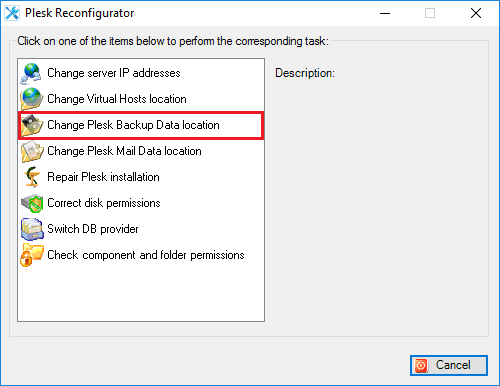 In Plesk Reconfigurator, select Change Plesk Backup Data location. 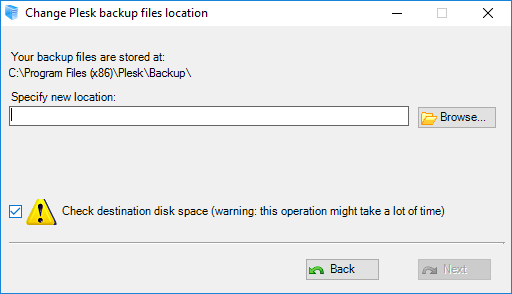 Specify the new location for backup files and click Next. All existing backup data will be transferred to the new location as well. During this operation Plesk will be stopped.